Boat | Flights. Camera. Satisfaction. After an hour-long drive to the port we arrived to find that our first attempt at seeing the Na Pali coast by boat was cancelled! The sea can get very choppy around the island of Kauai, and due to poor weather conditions we just couldn’t go out. Fortunately we managed to re-book at the last minute through a different tour company for our last day on the island. To say I had my fingers crossed for good weather would be a huge understatement! After our misfortune earlier in the week, we were lucky enough to experience incredible conditions when we finally made it out onto the water. I was able to keep my camera out for the majority of the trip without worrying about any spray at all! 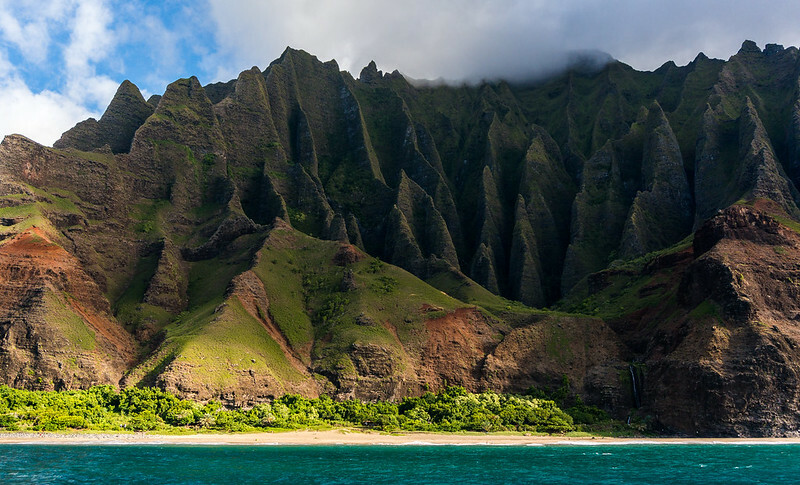 This entry was posted in Hawaii and tagged Boat, Coast, hawaii, Kauai, landscape photography, Na Pali, sunset on December 15, 2014 by Ben. For about an hour it was pretty much paradise! 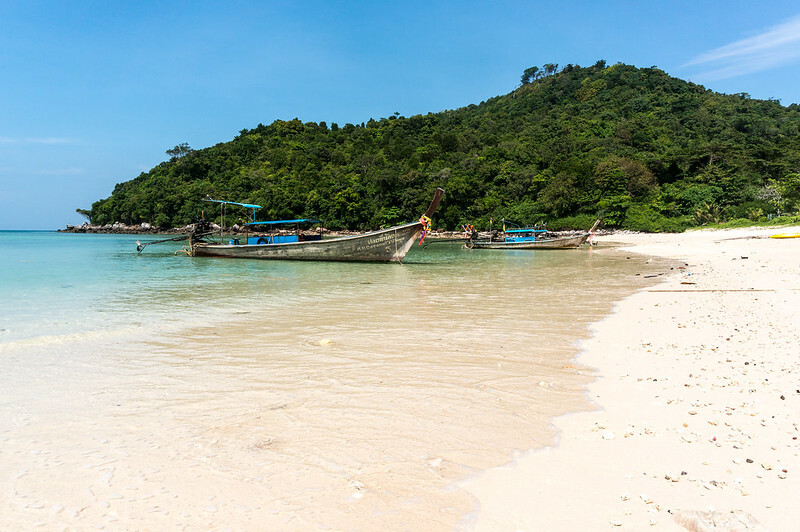 When we arrived for lunch on our tour with Phuket Sail Tours this beach was completely deserted. Unfortunately I’m not sure exactly where it is, but I think it’s on Koh Phi Phi Don in Thailand. Maybe someone out there with eagle eyes can help me out? The perfect isolation lasted until these chugging longtail boats turned up with some fellow tourists. At least they made a great subject for this photo! And we left shortly after to escape to another quiet spot elsewhere. What drew me to this shot was the negative space in the bottom half of the photo. I think it does a great job of leading the eye to the top half where the main subject is. It’s the first time I’ve consciously noticed this crazy effect surrounding negative space, I’ll definitely be looking out for it more in the future! Do you recognise this beach?! Maybe you can tell me where it is? 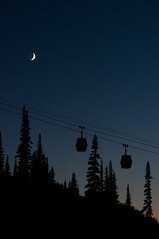 Or maybe you like using negative space in your photography? I’d love to hear from you! This entry was posted in Thailand and tagged Beach, Boat, Longtail, Negative Space, Paradise, phuket, Thailand on August 13, 2014 by Ben. With the wind in my hair I volunteered to sit at the front of the boat, having no idea that it was the most uncomfortable spot on the thing. Especially in choppy conditions! Riding towards the sunrise in Phuket must be one of my most memorable experiences to date. I may have been fearing for the integrity of my spine as I bounced up and down with the waves. But being at the front meant I had an unobstructed view of the beauty unfolding right in front of us. I didn’t regret a minute of it, although my back may have disagreed at the time. Placing the boat in the foreground to provide some perspective and a sense of place, I wanted to use the middle of the bow as a subtle leading line to the sunrise. Trying to get a clean shot while being thrown about every few seconds proved very difficult! I definitely didn’t have many keepers at the end of the trip, but fortunately one or two made the cut. Do you have any tales of woe from a boating experience? Or maybe you’ve tried shooting from a fast moving vehicle before? I’d love to hear from you! 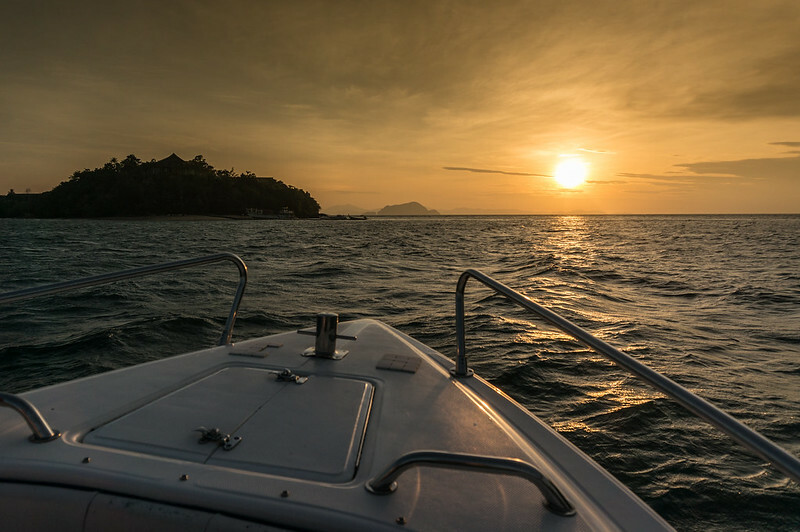 This entry was posted in Thailand and tagged Boat, Photography, phuket, Sea, seascape, sunrise, Thailand on July 10, 2014 by Ben. I spotted this boat out on Loch Leven and couldn’t help but snap away. Resting softly on the calm waters against a backdrop of beautiful colours we had come to expect from Scotland, this was a picture-perfect view if ever I’d seen one. It could almost be a painting. Using a handheld point and shoot camera I raced against the sun trying to get the best shot I could while there was enough light left to capture it. I wonder who has the privilege of taking this boat out and enjoying the loch on a nice summer’s day. Not that I am presuming there are many good weather days up in the north. We were visiting in October and quite lucky to see clear skies. I guess the water isn’t very deep and you just wade out to get in. However I didn’t test my theory! Despite the sunny weather it was still very cold and I was quite happy taking photos from the shore. With the benefit of hindsight I wish I’d shot lower to the ground. I’d prefer the shorter of the two masts to rise above the horizon of the mountains behind in a similar way to the taller mast. I think that would make for a slightly more interesting composition. Apart from that, I’m pretty happy with the end result given the tools at my disposal! 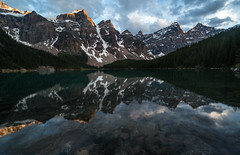 Where are the best reflections you’ve seen in a natural landscape? Have you ever raced to capture a picture-perfect view before sundown? Please get in touch! 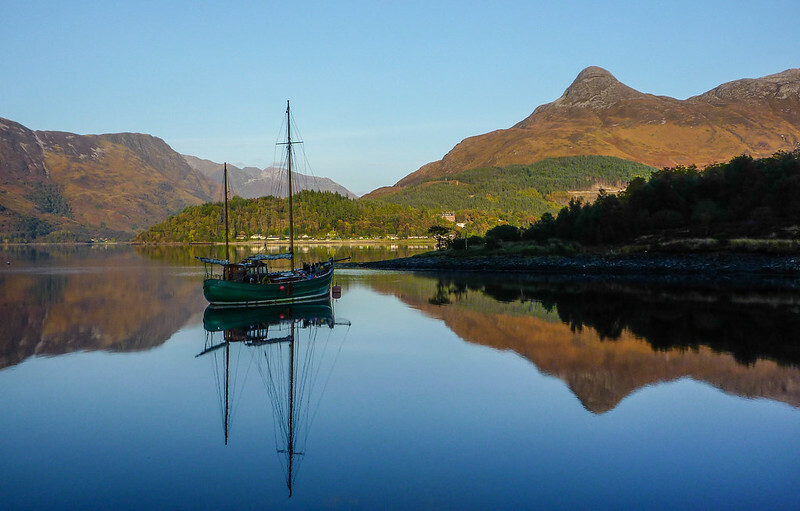 This entry was posted in Europe, Scotland and tagged Boat, glencoe, loch leven, Reflection, scotland on January 29, 2014 by Ben. So I took the plunge and bought a new camera – the Sony NEX 6! And I’d like to share a few of the first shots I took whilst taking it for a test drive around Lake Geneva. When I reach the end of my road I normally turn left and head along the lake, but this time I decided to turn right toward the beach and see what I could find. I love taking photos around the boats here so I didn’t make it very far in two hours, probably only about 100m or so! They make great foreground subjects for wide angle shots and all of the haphazard vertical lines provide some interesting background material. I am planning to do a more in-depth post on my first impressions of the camera from an amateur’s point of view. 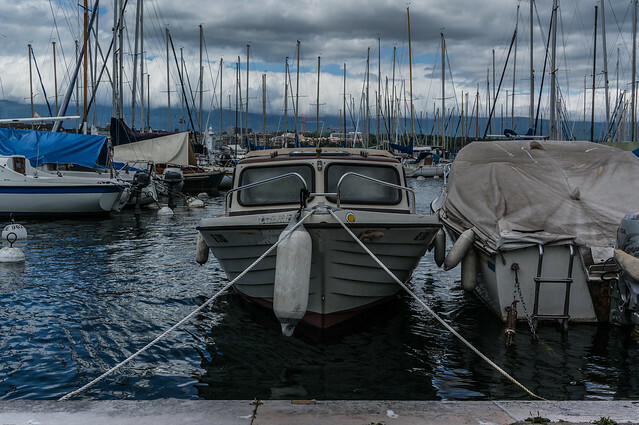 But in the mean time here are three pictures taken around Lake Geneva using the NEX 6. 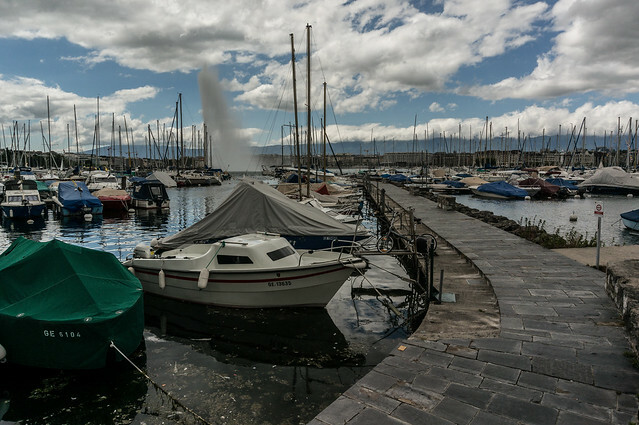 This entry was posted in Behind The Lens, Photography, Switzerland and tagged Boat, camera, Geneva, Lake, Marina, NEX 6, Photography, Switzerland, Travel on July 4, 2013 by Ben. 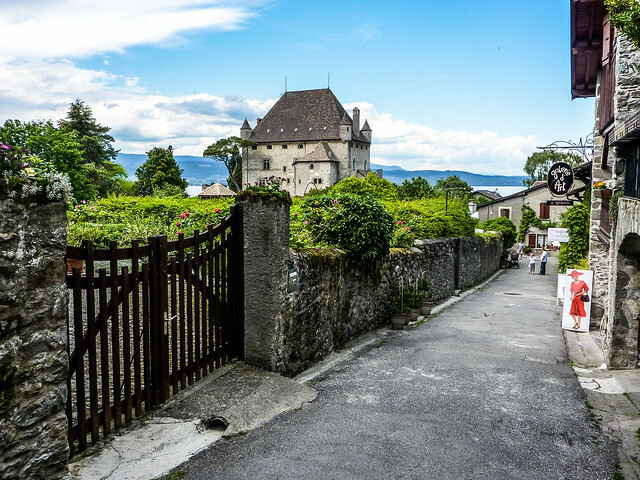 I’m currently in the process of moving my photo library from iPhoto to Lightroom and came across some old pictures from a trip to Yvoire, an incredibly well preserved medieval town sitting on the shores of Lake Geneva. While it is a town that basically lives off the tourism industry it still maintains a fantastic charm. Just 30 minutes drive from Geneva it’s a great day trip for anybody in the area, and certainly provides a pretty unique experience! It has a very cool castle which is great for photos, although unfortunately it’s a private residence so you cannot visit inside. It’s also very colourful in the summer as the locals make a big effort with flower baskets decorating almost every corner you can find! Being right next to the lake it has a small harbour and lakeside promenade that you can stroll along while listening to the soft sound of water lapping up against the shore. I was particularly fond of this boat, positioned perfectly for a great photo opportunity! I like to imagine it belongs to a local fisherman who has been fishing for years catching the local favourite – Perch – before it’s served up in one of the many restaurants around the town. If you are in the area I would really recommend a short trip to Yvoire. Half a day would be sufficient, perhaps over lunch so you can sample the fresh Perch which is delicious! 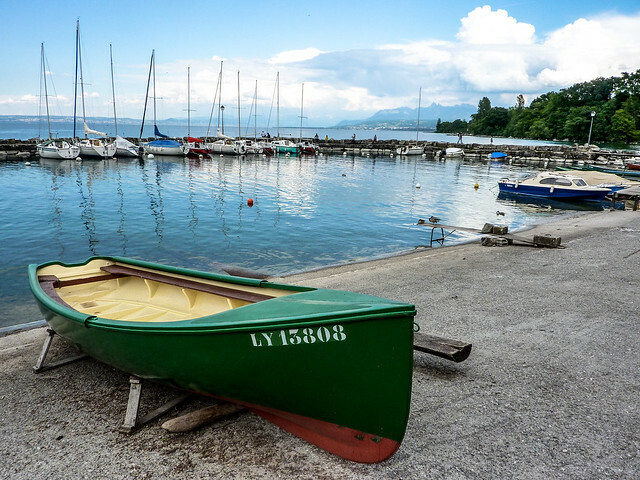 Have you been to Yvoire? Visiting the Lake Geneva region and looking for some tips? Please feel free to comment below! 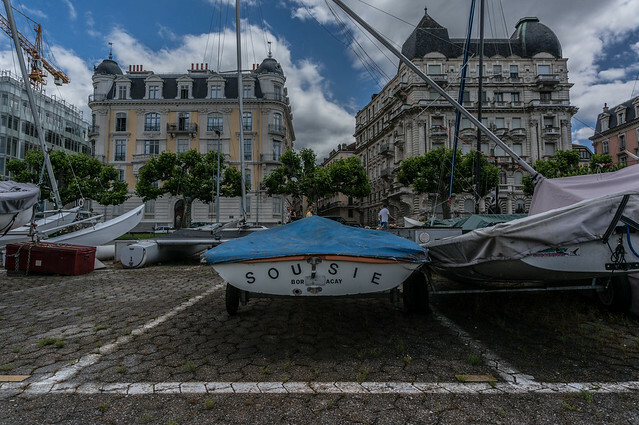 This entry was posted in Destinations, Europe, France and tagged Boat, Castle, europe, France, Lake Geneva, Medieval, Photo, Town, Travel, Yvoire on June 17, 2013 by Ben.